EducAsian is partnered with Rollins College of Winter Park, Florida and Shanghai Jiao Tong University to offer a first-rate semester program in Shanghai with a comprehensive offering of courses. Founded in 1992, EducAsian has been operating study abroad programs in China for nearly 20 years with unsurpassed academic standards, attention to detail, and dedication to customer service. We are dedicated to providing a high quality enriching experience for students and faculty. EducAsian has offices and full-time international staff in Shanghai and New York. The company has partnered with Rollins College of Winter Park, Florida and Shanghai Jiao Tong University to offer a first-rate semester program with a comprehensive offering of courses. Many programs are accredited through the State University of New York (SUNY). Since 2003, EducAsian is pleased to have been selected by Georgetown University’s McDonough School of Business to coordinate their annual Global MBA Residency in Shanghai. The company is also proud to have been selected by Washington, DC to coordinate Mayor Anthony Williams’ official business and government delegation’s visit to Beijing to celebrate 25th Anniversary of Beijing-Washington, DC Sister City Agreement. EducAsian continues to work closely with government and business organizations in China and abroad. 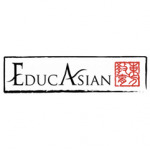 EducAsian is an active member in many professional organizations including NAFSA Association of International Educators, the American Council of Teachers of Foreign Languages, the Chinese Teachers Association, among others. From a humble start of 8 students on its first program nearly two decades ago, EducAsian has grown to offering programs in locations throughout China and giving hundreds of students, teachers and professionals the opportunity to gain an in depth understanding of not only the Chinese language but the history and culture of this magnificent country as well.